The Japanese really love to dress up their dogs! 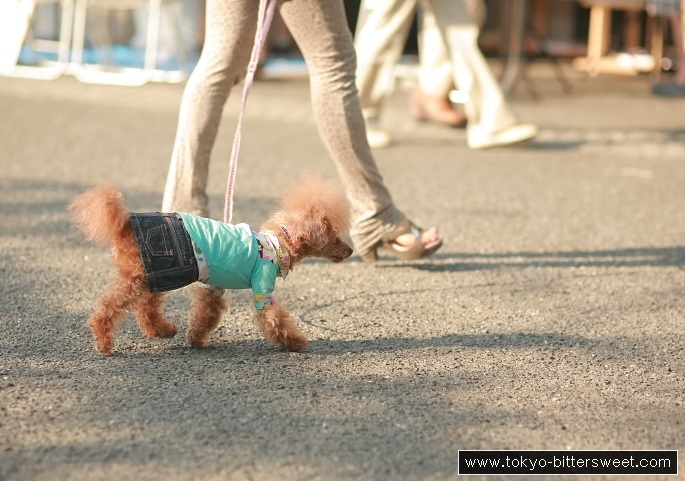 This Shibuya toy poodle wears a blue jeans skirt and a colorful shirt under a turquoise jacket. Of course its coat is clipped and there might even be a hint of ginger hair dye present. These canines are status symbols here, after all.